Converter MR eMMC-NAND T1P1 for Samsung BGA #1 (PCB2) allowing the use MR NAND EMMC Multi-RECOVERY adapters to work with Rusolut eMMC-NAND Reconstructor. 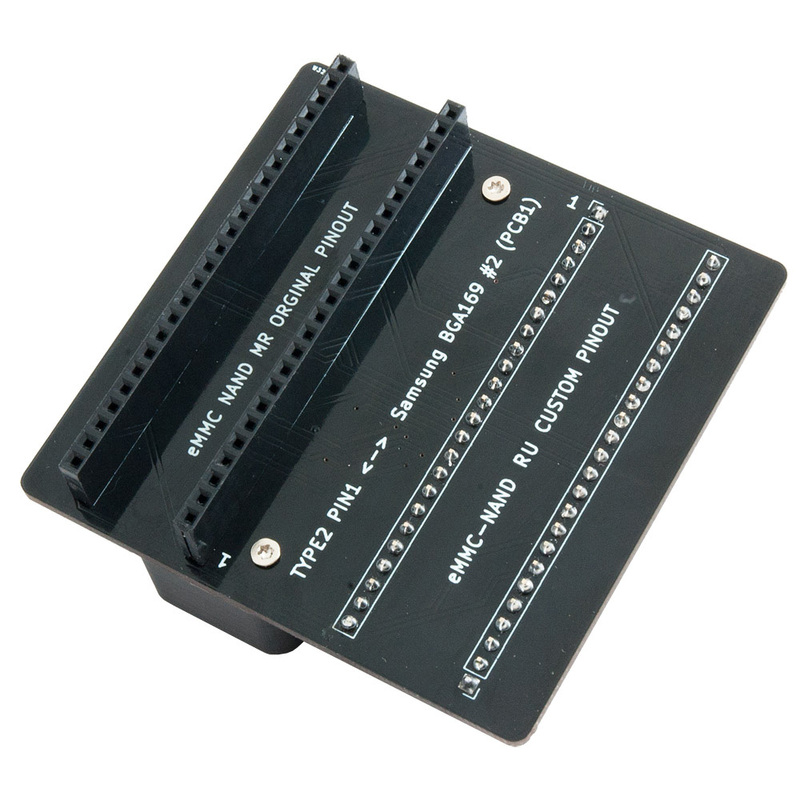 The MR eMMC-NAND converter is designed exclusively for MR NAND EMMC Multi-RECOVERY adapters. 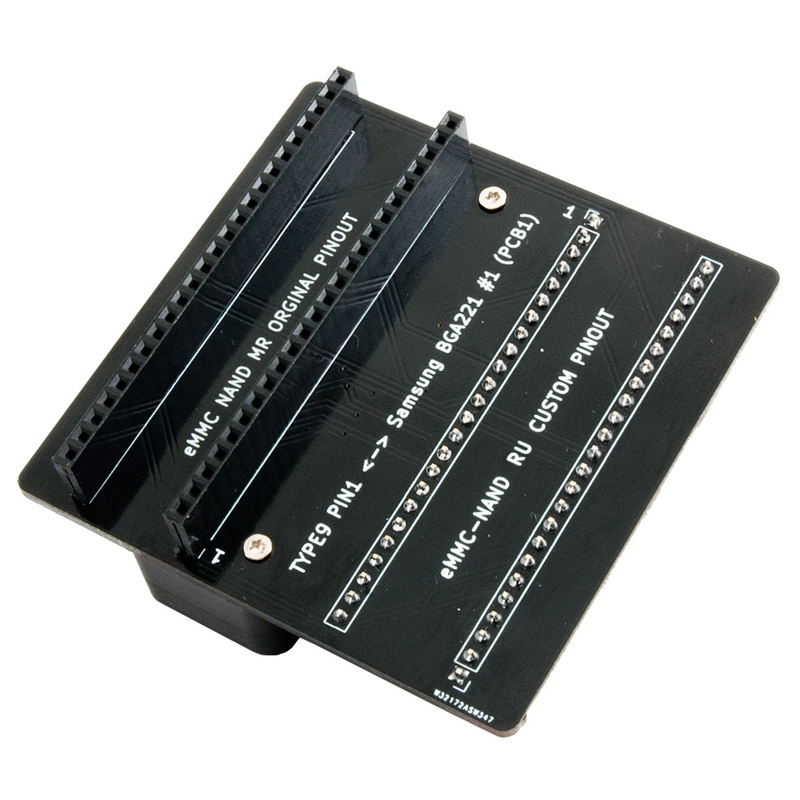 Converter MR eMMC-NAND T1P2 for Samsung BGA169 #1 (PCB1) allowing the use MR NAND EMMC Multi-RECOVERY adapters to work with Rusolut eMMC-NAND Reconstructor. 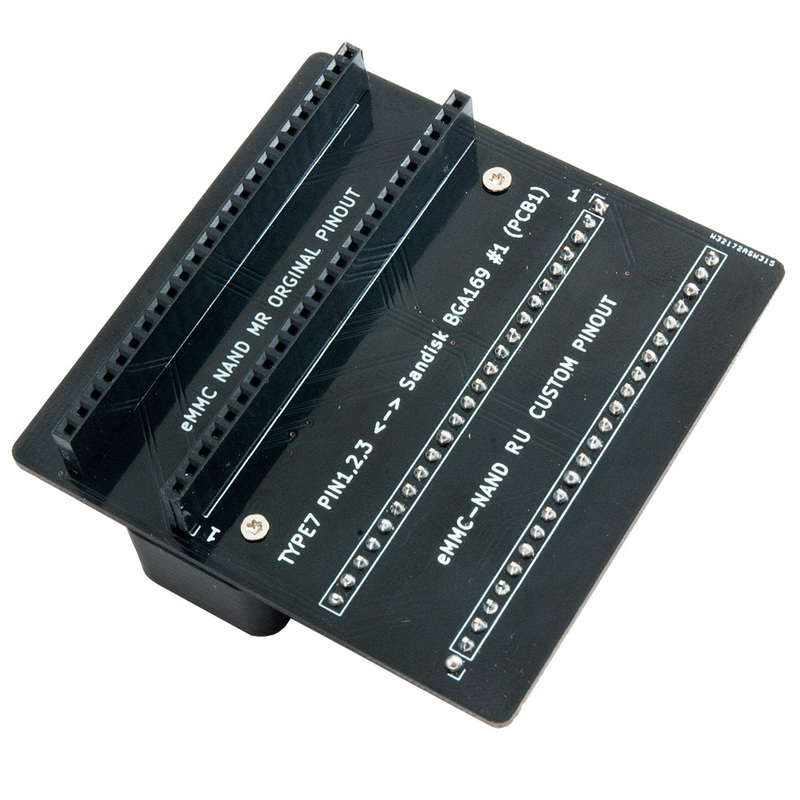 The MR eMMC-NAND converter is designed exclusively for MR NAND EMMC Multi-RECOVERY adapters. Converter MR eMMC-NAND T2P1 for Samsung BGA169 #2 (PCB1) allowing the use MR NAND EMMC Multi-RECOVERY adapters to work with Rusolut eMMC-NAND Reconstructor. The MR eMMC-NAND converter is designed exclusively for MR NAND EMMC Multi-RECOVERY adapters. Converter MR eMMC-NAND T7P123 for Sandisk BGA169 #1 (PCB1) allowing the use MR NAND EMMC Multi-RECOVERY adapters to work with Rusolut eMMC-NAND Reconstructor. 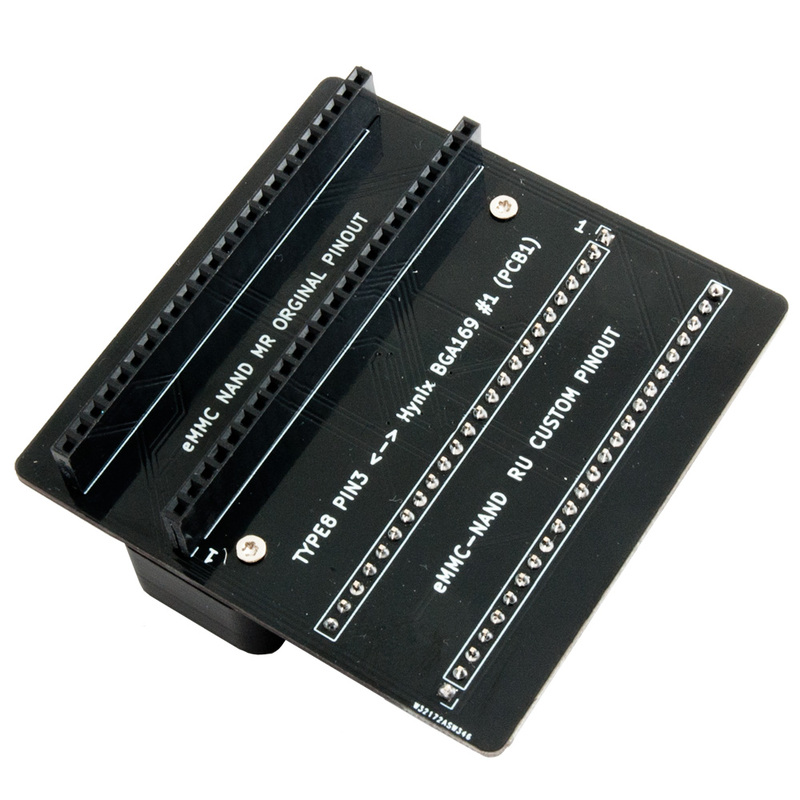 The MR eMMC-NAND converter is designed exclusively for MR NAND EMMC Multi-RECOVERY adapters.